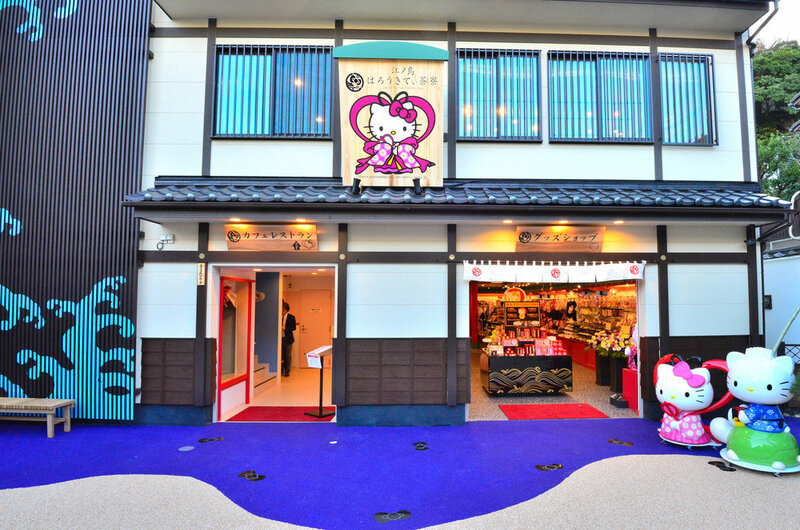 Japanese Tea House Hello Kitty Saryo (はろうきてぃ茶寮) is a permanent café/tea house featuring Sanrio's Hello Kitty with 1 location in Japan located in Enoshima. 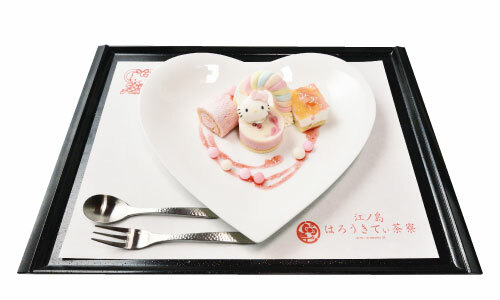 Originally there was a Kyoto location but as of 2019 it has since been permanently closed and only the Enoshima location is still in operation. We have updated our page to reflect this closure. Enoshima/Kamakura is a popular tourist destination for those wanting to get out of the big city of Tokyo. Visiting a tea house is a 'must do' experience according to many tourists. 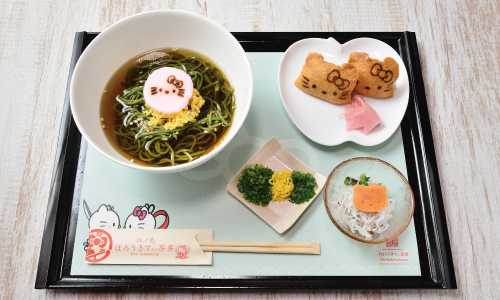 However if you love Hello Kitty or have younger kids and want to spice up your trip then maybe it's not a bad suggestion to opt for the less traditional but still delicious themed menu at Hello Kitty Tea House! Enoshima specifically is known for seafood so their menu incorporates local seafood into most dishes. There is also exclusive Hello Kitty merchandise sold that you can only get at the shop! Menu offerings shown here may change over time. Sometimes special limited time/seasonal menus may be offered as well! There is a special take-out menu available if you just want to grab a quick snack or drink before heading out to see the sights of Enoshima. 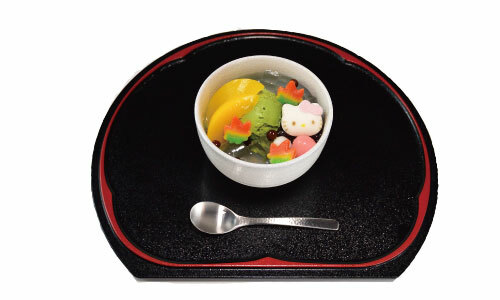 Japanese Tea House Hello Kitty Saryo does not accept call-in or online reservations. They will accept reservations same-day at the shop front if their machines are set-up. Otherwise seating is first come first serve. This café has 1 locations around Japan. Please be sure to verify the date, time, location, and reservation status of the café closest to you before visiting as these details may differ from location!